Most information about people can be found at the local level where the individual has lived and worked. Was your subject in business? Did he or she rent or own property? Were vehicles registered in his or her name? Married? Divorced? Were children born of the marriage? What about friends and family members who lived - or still live - in the same area? County and state records sources may provide you with an overview of your subject's lifestyle, but the best local sources are people who know or knew the subject. These people can provide color and details - very desirable information. Records can be searched either by accessing free public records online via the record holders database (when available) or by requesting a copy from the agency holding the record, usually for a small fee. Start your information search at the public library. You'll get it quickly, and at lowest cost. Ask the librarian to explain how to use the microfiche and microfilm viewers, the copy machines and printers and computers; how to connect to the Internet. If you have access to a university library, by all means make use of this well-funded research and resource facility. You can order thousands of books and articles through the interlibrary loan system; get resource material from The Library of Congress, data from The National Archives. Law libraries, genealogical and special interest organizations participate and contribute to the interlibrary loan system. A review of the resource material that follows will confirm this fact: the library is the best place to begin your search. These resource books will afford an overview of what is available in your area of interest and help you find specific information faster. The American Library Directory lists national, state, county & city libraries. 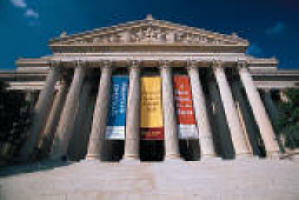 Directory of Special Libraries lists university, state, religious, law, genealogy, and public administration libraries. Books in Print and Book in Print Online Database, lists books by subject, author, and title. The use Associations online might be helpful. The Encyclopedia of Associations lists religious organizations, labor unions, sororities, fraternities, trade unions, and commercial organizations. Also listed: social welfare, cultural, veterans, athletic, and genealogical organizations, as well as state Chambers of Commerce. These organizations invariably maintain a list of members - past and present. Martindale-Hubbel Law Directory lists all practicing attorneys in a given time period. Who's Who includes information about important people. There are other editions of this directory printed as well, like Who's Who in the West, Who's Who in the East, and Who's Who in Business. Your library has other publications about notable persons. Published by local phone companies and nationally by others, these folks sell information compiled by investigators who survey neighborhoods in person and from customer questionnaires. Combined with information from phone companies and government records, these directories will sometimes give you information not otherwise available, such as your subject's place of employment, spouse's name, and occasionally, even unpublished phone numbers. The directories are cross-indexed by name, address and phone number, which - starting with a single fact - allows you to develop and flesh out your information base. Back issues are often available at the library, the phone company, or the Chamber of Commerce. Old directories are also stored in state archives and state libraries. Ask your librarian for help locating directories for the years of interest to you. Look into the past! Your subject may have had a listed number which was changed to an unlisted one. A woman who is listed when she is single gets a new phone number when she marries. Knowledge of these facts may help you acquire relevant data. Some directory publishers and database companies perform a national search for their subscribers and clients for a fee. There are many search engines on-line that offer free phone number, address and business searches. Try as many as you can but keep in mind they can only deliver the information from the sources from which the subscribe. Your best lead may still come from an old phone book at the local Library. Hains Criss-Cross Directory lists by telephone number, address, and zip code. Hains leases its directories to businesses, professionals, agencies, and libraries. Libraries can request any information contained in previously issued directories. Ask your research librarian for assistance. The Polk Directory lists by surname, address and phone number. The Directory sometimes lists subject's occupation, place of employment & spouse's name. It will indicate whether the subject rents or owns the property at the address given. Dun & Bradstreet, Standard & Poors, and Moody's are business directories published by corporate credit rating companies. These folks interview the officers of a corporation's bank, review corporate reports and prospectuses. They send field investigators to facilities to question executives and managers, and obtain names of suppliers, who are also questioned. Combined with other information, a financial picture of the corporation emerges and a rating is established. The findings are then published in the business directories listed above, which are available for your perusal in most libraries. Gale Directory of Publications, Ulrich's International Yearbook, and Editor & Publisher International Yearbook each list all local and regional newspapers. The New York Times Archives has articles online since 1981. Search the New York Times by Topic. Articles from newspapers may be kept at the library on DIALOG or similar databases. Back issues may be stored on microfilm at the local library or newspaper morgue. The Reader's Guide to Periodical Literature is an index of magazine articles organized by subject, author, andtitle. The Gail Standard Periodical Directry can also point you to articles of interest. AcqWeb Directory of Publishers and Vendor, online source. The Social Science Index features in-depth articles published in academic and professional journals. The Guide to American Directories (on Amazon) published by B. Klein Publications lists hundreds of directories you'll find useful if you are looking for information about a business or industrial or commercial enterprise. The Internet provides access to most every publication listed above, and many more. Check the directories. Check by subject. Check back issues. Phone books for other communities can be ordered, generally for a fee, by calling the phone company in that area. Some phone companies will order phone books from other communities for you, generally for a fee. Most libraries shelve local phone books as well as directories from surrounding communities. Many libraries also have major city directories on microfiche. Another interesting and practical use for phone directories: checking the correct spelling of names. The directory assistance operator will access the computer for the name you specify. You can get the number and the address, too, most of the time, if you ask for it at the onset of the conversation. If you end up with several possible numbers, you might try calling person- to-person. If you get the wrong party, you can ask the operator to ask the party if your subject is known to them. Ask the operator to ask what time they'll be home. You might get lucky. You can get change of address information form the US Postal Service. Another way to get a change of address is by addressing a letter to your subject and writing on the left side of the envelope, just below the return address: "Address Correction Requested" and "Do Not Forward. Return to sender if not deliverable to this address. Return postage guaranteed." Check with the local credit bureau. Request a report on an individual or firm you intend doing business with and receive the credit bureau's report - for a fee. The local Chamber of Commerce will cheerfully give you free and detailed information about the local area, local businesses (especially those that are members), professional people, local organizations, trade and labor unions. The Yearbook of American Churches lists all churches. Records are kept by local churches and synagogues and are also maintained at diocese and synod level. Membership records include Sunday school, marriage, tithe, and death records, and information about marriages performed for nonmembers of the congregation. See National Directory for listings of individual Churches. Ask, and you may gain access to the local newspaper morgue, or be allowed use of the microfiche. Editors and reporters familiar with past newsworthy events may provide first-hand information. A city police department can often help you locate a missing person by working with other city and county law enforcement organizations. Patterson's American Educators lists names and addresses of all public and private colleges, universities, junior colleges, high schools, and grammar schools in the United States. Contact the "Student Records Office" or the "Admissions Office." Local school boards might have useful records or information about where records are stored. School libraries keep old yearbooks. Yearbooks contain amazing clues about an individual's classmates, activities, social status, popularity, scholastic excellence (or lack thereof) and political prowess. Ask the librarian to photocopy pages that concern your subject. Get information about clubs, activities, areas of study, achievements, affiliations, etc. Reunion committees often have information about former students, including their addresses, phone numbers, and occupation. They may even have the addresses, phone numbers, and more, of parents, spouses, and children. Many alumni organizations publish a directory and a bulletin. Call the college or university for the name of the coordinator. The National Reunion Association lists 5,000 reunion associations. Every neighborhood has at least one observant person who follows everyone else's comings and goings. That individual can tell you who goes where, who lives where, where everybody works, what new purchases - like new cars and room additions - have been made. They love to tell you what they've learned over the years. Talkers, braggarts, and storytellers are some of your best sources for background info. Show a little interest and these folks will go on and on . . . Employers generally will not release information about present or past employees to just anyone who calls or writes - unless that person has a signed release from that individual. Employers will release information about an employee to other businesses for credit or employment purposes. Most employers will verify information you already have in your possession. These people often know where your subject has moved to and who his or her new employer is. Co-workers are often personally acquainted with subject's friends and know where those people hang out. Your subject's friends may willingly provide answers to your most difficult-to-answer questions. Be careful how you approach these folks and how you present yourself. If you appear to be a debt collector, or someone who might be holding an arrest warrant or other legal demand, you'll probably get little or no cooperation. If, on the other hand, you are perceived as a benefactor or the bearer of good news, you'll likely be accorded the respect due such a messenger. Most cities and many towns maintain records, similar to county court records, about local residents: their birth, traffic offenses, marriages, building permits they've applied for, criminal offenses, divorces, civil suits, business licenses issued to them, property transfers, involvement in legal actions, and their death. The city assessor has lists of owners of real property, along with information about the assessed value of that property. Records maintained by these privately-owned businesses include burial permits, funeral service registers, funeral and memorial arrangements, obituaries, intermediate orders, and perpetual care arrangements. The city or county Voter's Registration Office maintains "Precinct Books" or "Rosters of Voters." You'll find a voter's name, address, date of registration, and political party affiliation listed. Some rosters may show former addresses, employer, and/or date of birth. Older records may be stored in the state library or archives. The New York Times Index The New York Times Index has back copies on microfilm. Articles from newspapers may be kept at the library on DIALOG or similar databases. Back issues may be stored on microfilm at the local library or newspaper morgue. The Reader's Guide to Periodical Literature is an index of magazine articles organized by subject, author, and title. The Standard Periodical Directory can also point you to articles of interest. The Guide to American Directories lists hundreds of directories you'll find useful if you are looking for information about a business or industrial or commercial enterprise.